Join Melanie Reinhart for a 3-part interactive webinar series on Chiron’s transits. Join Melanie Reinhart for the second of a 3-part series on the transits of Chiron. 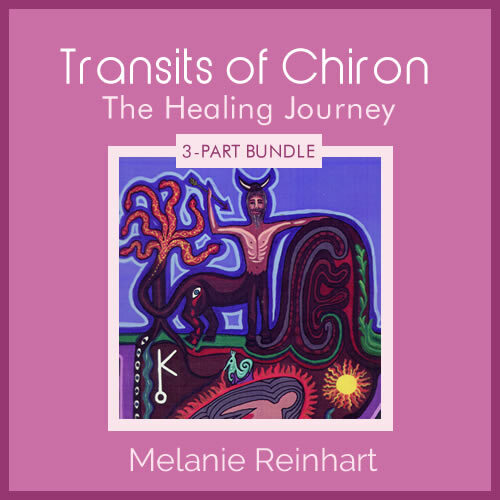 Join Melanie Reinhart for the third of a 3-part series on the transits of Chiron. 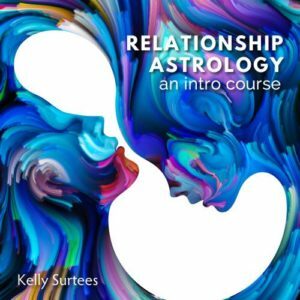 Join Melanie Reinhart for a 3-part interactive webinar series on Chiron’s transits – a great opportunity for understanding Chiron’s process in the horoscope. Melanie will introduce “Chiron consciousness” which opens us to other dimensions, including the ancestral realm. This underpins our life, and may be the source of blessings and gifts we inherit, but may also present unresolved suffering which needs our attention. Key points of Chiron’s symbolism, mythology and astronomy will be explored, and the Chiron Return will be featured, with its theme of birth/rebirth and spiritual transition. Working with transits is probably the best way to familiarize yourself with Chiron. We focus first on the Chiron cycle, analyzing its quarter and half-way points up to the Chiron Return which occurs at 50-51 years old. This major life-transition brings a deep shift in awareness which initiates a new stage of our own journey of awakening. The symbolism of birth/rebirth is stimulated and our understanding of this can contribute to its positive impact on our life. A short guided imagery process will be offered and de-briefed. Questions, comments and reflections from attendees will be addressed. Additionally, if you would like to share your personal chart with Chiron stories and anecdotes, please email your birth data to Melanie well in advance. Participants will be chosen by ‘oracle’ method, on the evening. 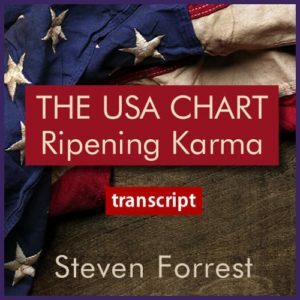 Special bundle price includes all three sessions plus bonus video. Melanie shares a detailed example of transiting Chiron moving through a birth chart, from the natal conjunction with the Sun through the opening and closing squares. 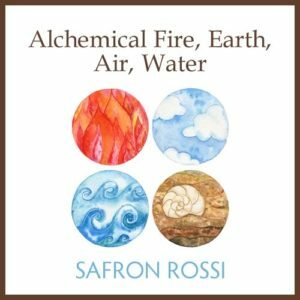 She shares an inspiring story of synchronicity that includes the poppy and cornflower (whose scientific name is “centaurea cyanus”), and answers questions from attendees of session 3. 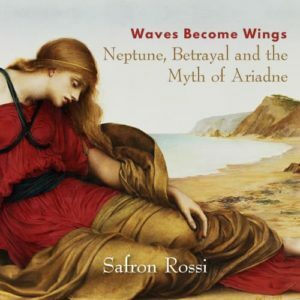 She talks about Chiron in Aries, Chiron transiting a natal Sun in the 12th house, and a 12th house natal Sun-Chiron aspect, as well as Chiron at the midpoint of natal Sun in Gemini and Moon in Pisces. Your registration includes the videos, audio files and all slides and handouts to download and keep. Over 6.5 hours total. I thought it was too long and while I have enjoyed Melanie Reinhardt books I feel that her **** presentation was tedious.